You will meet our friends Michele and Roger Feder . 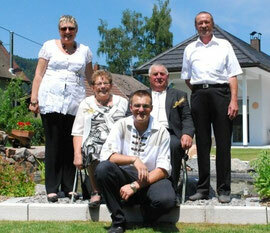 They live in the village of Kruth 1 km from the chalet. 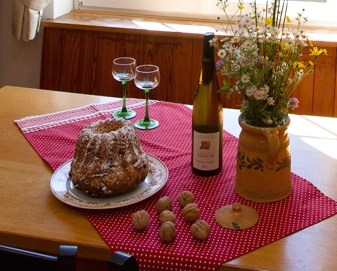 Michèle welcome you with a cake of her own and a bottle of wine from Alsace. The whole family: Michele and Roger Feder standing in front of them, sitting, Michele's parents and finally Aloyse, son of Michele and Roger.